Fast casual is the new dining darling; with its emphasis on chef-driven recipes and quality ingredients, it’s a trend that’s being embraced by both diners and restaurateurs. The distinction between this category and fast food doesn’t stop with the dishes, though. Many fast-casual establishments go beyond the Big Gulp to offer a curated wine list. Fast-casual entrepreneurs often come from a fine-dining background where wine pairing is an essential part of the experience. Unlike the multipage tomes offered by sommeliers, fast-casual lists are slim, concise affairs. Most contain only a single red, white, rosé, and sparkling by the glass, each meant to pair with a number of dishes. A slightly expanded bottle list, a small selection of beers, and occasionally cocktails may round out the drinks menu. Selections are rarely made in a silo. 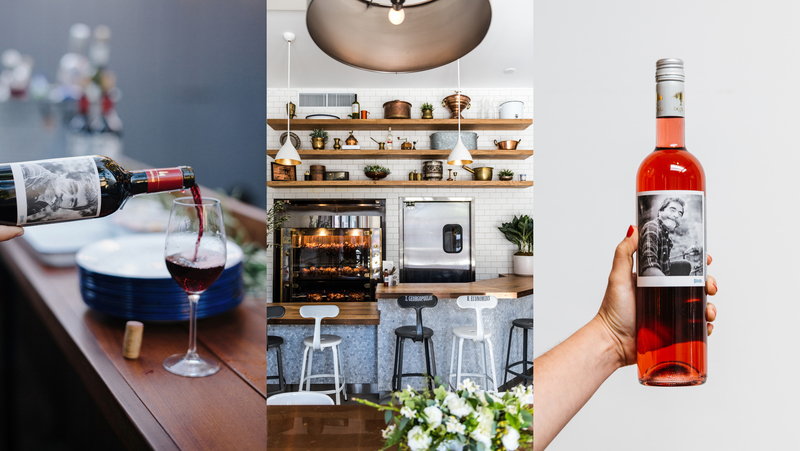 Made Nice, Eleven Madison Park’s new offshoot in Manhattan, built its New York–centric wines-on-tap program in collaboration with the kitchen and dining room leaders. 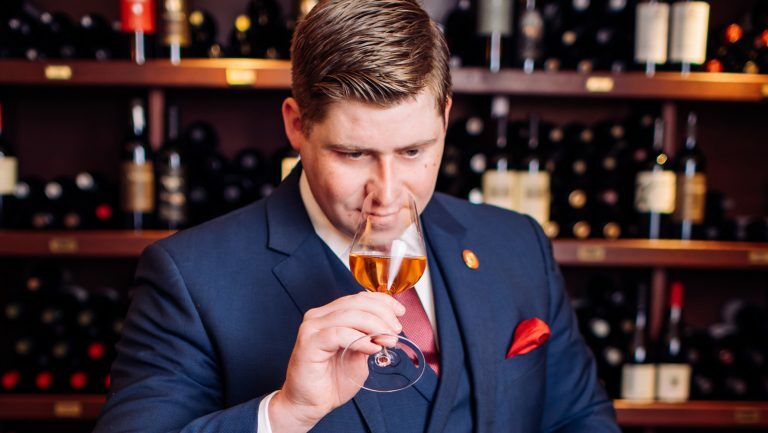 “It was really important to put together a concise list of wines we love to drink that also paired really well with the menu we’re serving.” says general manager Kirk Kelewae. The team at Dio Mio, a counter-service pasta bar in Denver, aim to build their reputation as a wine—not just food—destination, so they brought in a consultant to build the initial list. They frequently tweak their menu “by listening, watching, and deciding what people are leaning toward,” says Hallie Bauernschmidt, Dio Mio’s general manager. Where fast casual really sees a branding opportunity is with private label wines and beers. The wines at Souvla were created especially for the company in partnership with three Greek wineries, and Made Nice offers a proprietary Riesling and beer. The origins of private label offerings can be traced back to Danny Meyer, one of the founders of the fast-casual concept, and his first Shake Shack. Meyer had established relationships with Frog’s Leap winery and Brooklyn Brewery at Union Square Cafe, his first fine-dining restaurant, in New York City. 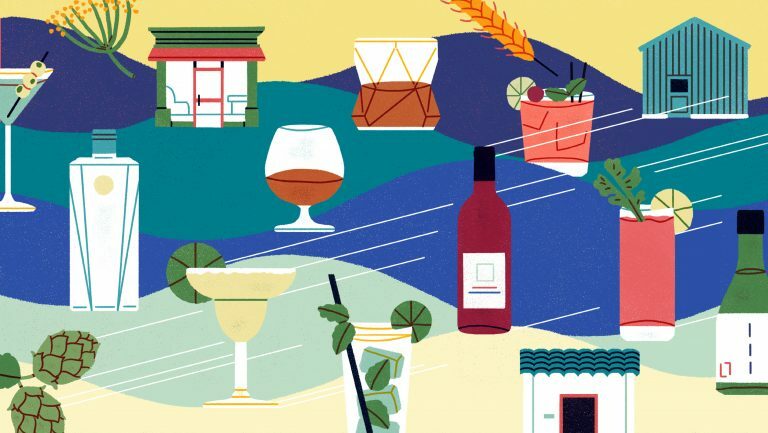 “As Danny started opening more restaurants in the city, such as Gramercy Tavern and Eleven Madison Park, he continued the relationships by serving Frog’s Leap wine and Brooklyn Brewery beers on the menus,” says Mark Rosati, Shake Shack’s culinary director. He explains that when Meyer opened Blue Smoke, his regional BBQ-inspired restaurant, he took his relationship with Brooklyn Brewery to the next level and worked with its head brewmaster, Garrett Oliver, to create a special beer for the restaurant, which became Blue Smoke Ale. “Soon after we opened the first Shake Shack in Madison Park,” Rosati says, “we tapped our friends at Frog’s Leap and Brooklyn Brewery to create our own specially crafted wine and beer to pair specifically with our modern roadside burger stand fare.” Nowadays, 79 domestic and 20 international Shake Shack locations offer the Shack brand beverages. Serving vessels extend the branding message just as much as beverage selections. Some venues opt for real glassware as a nod to fast casual’s fine-dining DNA, while others, such as Martina, the soon-to-open offshoot of Marta, Meyer’s pizza and champagne palace, serve all their wine, including their top-shelf champagne, in compostable clear plastic cups. 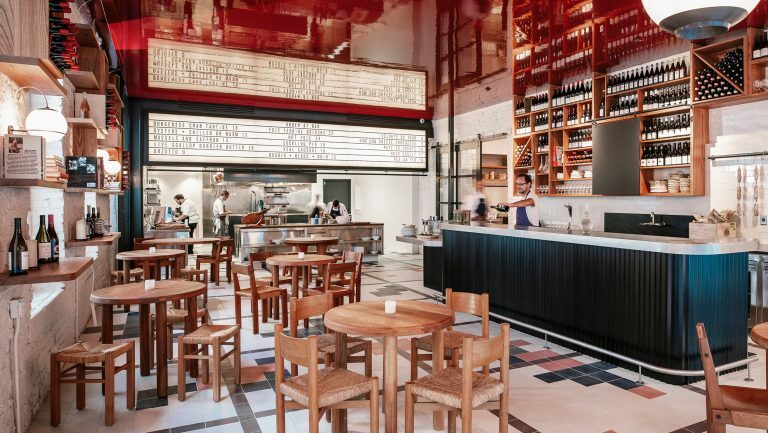 “We are creating a fine-casual pizzeria and love the feeling of highbrow and lowbrow elements living side by side,” says Nick Anderer, executive chef at Martina. As with fine dining, the teams at these fast-casual restaurants receive formal wine training so they can talk comfortably about the wines and make pairing recommendations. With Dio Mio’s “all hands on deck” approach to staffing (managers and chefs may sometimes pinch-hit for front-of-house positions), training the entire team is essential. “It’s a big [area] where a lot of restaurants miss an opportunity,” says Liz Batkin, the consultant who helped build Dio Mio’s opening list. 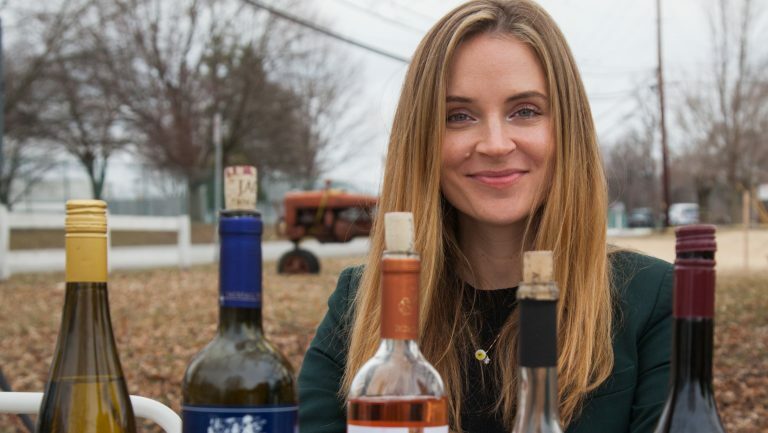 “The people making the food should know just as much about the relationship between the food and the wine as the people working the floor.” She trained the team on proper wine service, so everyone learned how to open a bottle, serve it, and manage it tableside, which is especially important when a customer orders a higher-end bottle. 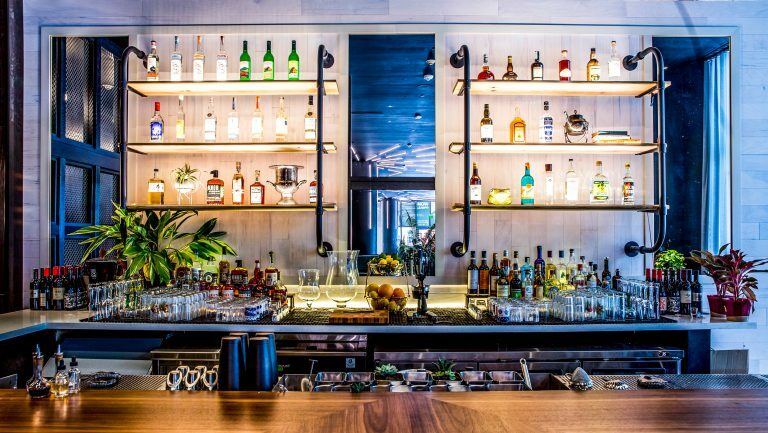 And order they do: Dio Mio estimates that 80 percent of customers order an alcoholic beverage, while Souvla reports that 65 percent of beverage sales come from wine.